The gLAWcal comments are insight and short analytical pieces written by the gLAWcal team. 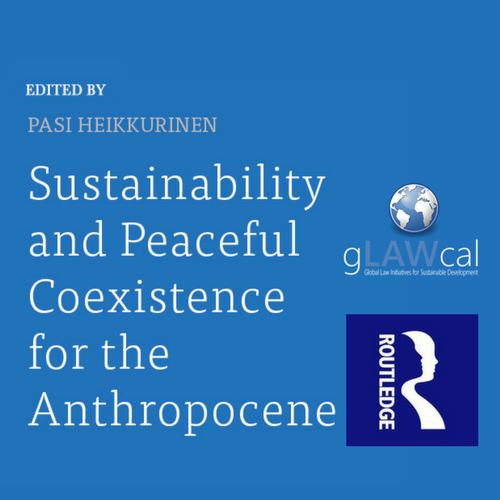 The gLAWcal comments are based on, and inspired by, the books and chapters published within one of the gLAWcal book series published by Routledge Publishing (New York/London) or by other gLAWcal publications. What is an actor to do in the Anthropocene? Why distinguish between the “human” and “natural” worlds? What does capitalism look like? Is it civil or criminal law? Who in the world is filing PCTs? Do we need an OPEC for natural gas exporting countries? Who do I buy the mineral rights from? China and the WTO a desiderable outcome? Should the WTO promote renewable energy? Are Free Markets Incompatible with Sustainable Development? 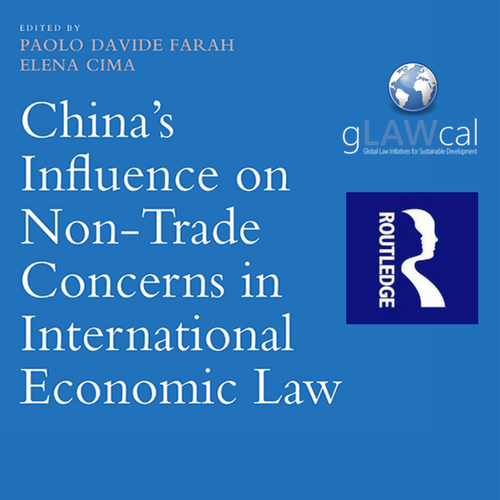 China's role in promoting Non-Trade Concerns. Public Interest Litigation or Rights Interest Litigation? Is China making progresses in tackling its environmental issues? Will China be able to feed itself? Could China’s social media policy represent a violation of WTO rules? What about US Social Media in China? Is China doing its best to protect works and trade? Right to food and trade law in conflict: is it possible to find a balance? COP 23: Another non-binding declaration or significant breakthrough? Could China do better in environmental protection law? What Kind of Story Does the Chinese Investment in Africa Tell? A Global Consensus on Food Security: A Hope for the Realization of the Right to Food? 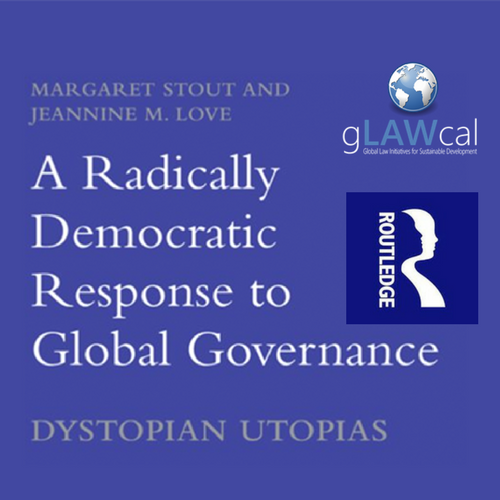 Ethical Foundations of Global Governance: A realistic Vision or Utopia? Rights to Food and WTO Trade Law – Two Concepts at Odds? How are CDM Projects Distributed and Why? Should Nations be able to restructure their debts? Who would run an international regulatory agency on financial markets? Plurateralism or Multilateralism: Quo Vadis, Energy Agreement? How does the condition of "state of necessity" relates to soverign insolvency and sovereign debt law? Dispute Settlement System under the WTO: The Birth of a Quasi-Judicial Body? International Monetary Fund: Quo Vadis? The doctrine of necessity: Valid ground for exoneration? Neoliberalism in Global Financial Governance: Where Do We Go from Here? Bail-In: A Solution in Case of Economic Crisis? How does the concept of interdependence relate to international trade law? Has Proportionality a Cosmopolitan Nature? Is Interdependence a Product of WTO? WTO Law: Is There a Need for a Specific Energy Trade Agreement? How to Approach the Issue of Food Security? State of Necessity and Debts: How to Cope? How to reform the WTO? How Has the Appellate Body of the WTO Changed Since Its Creation? Does the Concept of Proportionality Play a Role in International Economic Law? Are There Alternatives to Infinite Growth & Expansion? Which Future for Climate Change Migrants? Is There Room for a Sustainable Capitalism? How Does the Hierarchy Work in Governance? 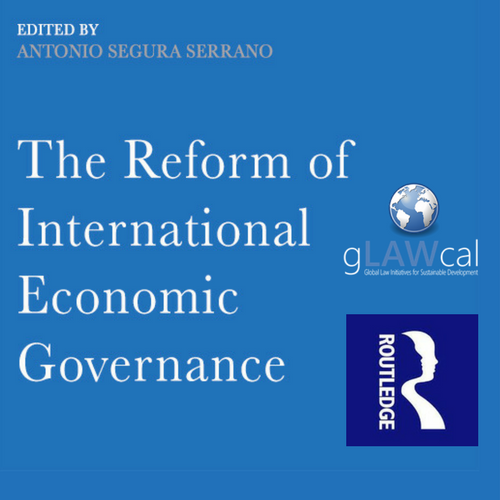 How is it possible to improve global governance in International Financial Law? Can Governance be Considered a Fragmented Concept? Is it Possible to Think of Atomistic Governance? What is the ideal form of governance? A global crisis or many crises? What Role Does the Ontology Play in Political Philosophy?